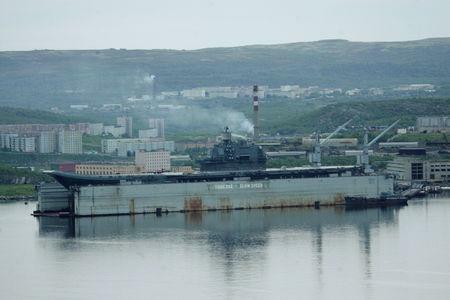 MOSCOW (Reuters) - Russia's only aircraft carrier was damaged while undergoing repairs in the north of the country after the floating dock holding it sank in the early hours of Tuesday and a crane crashed onto its deck, tearing a gash up to 5 metres wide. "There is a jagged hole 4-5 metres wide," Rakhmanov was quoted as saying by the Interfax news agency. 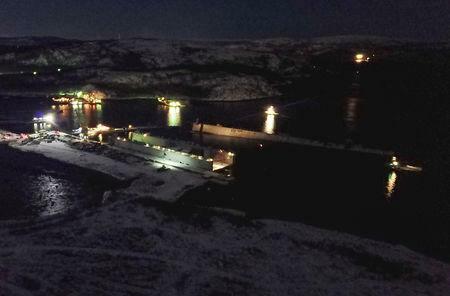 "It's obvious that when a 70-tonne crane falls onto the deck, it's possible that there could be such damage. We consider the damage to be insignificant."